Funny story: when we registered for our baby shower we found the perfect stroller set – jogging stroller with carseat and umbrella stroller, great prices. Then it went on clearance! We debated buying it ourselves, but then what is the point of a registry if you buy it all yourself? Well the problem with clearance is usually the item goes quickly and never comes back. We didn’t the get the stroller, neither did anyone else. So when the BILY Bassinet went on clearance we didn’t make the same mistake. We bought it right away, and so did 2 other people! The Wee Baby T has plenty of options for sleeping arrangements. – Sound, light and vibration kit included. It comes with wheels that can be locked down for easy movement or retracted to allow the bassinet to rock gently. The wheels work great on carpet, but hardwood and tile? Not so much. Honestly, if you don’t have wall to wall carpeting your best bet is to pick the unit up and carry it from room to room. Just be sure to take your baby out first. Room to grow! BILY is larger than the bassinets that come with strollers, so your little one can sleep by your side for a bit longer. The BILY bassinet also comes with a battery operated music, light, and vibration unit. The music is something out of a B-horror flick and Baby T screams every time we put the vibrate mode on ::update – Yup, still not a fan!::. The buttons are so sensitive you can bump the other side of the frame and a haunting tune will start. Really BILY? Couldn’t drop the extra 15 cents per unit and get the license for twinkle twinkle little star? The light could be useful I suppose, but the angle of the light shines directly at your newborn’s face. For us this was a great way wake him up for those late night feedings. The bassinet includes the sort of sun shield you would find on a stroller. I would suggest you don’t even take this out of the box. It works fine and is easy enough to install, but Health Canada advises strongly against it, as it can restrict air circulation. Low on tech, high on function. Then again, this is just for sleeping, right? So now the good part – would I buy it again? Absolutely. Health Canada’s sleep standards for newborns suggest that your child spend their first year sleeping in the same bedroom. This may not always be practical in a full-size crib; especially for us as we live in a condo, but the longer you can leave him in the room with you the better. 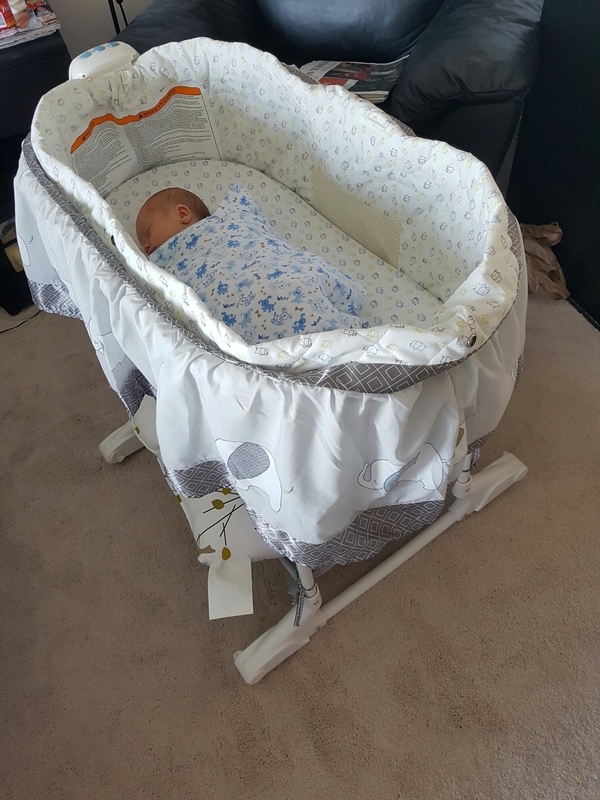 Using a bassinet gives parents living in smaller spaces a great opportunity to co-sleep for 3-4 months, and for less than $130 at Walmart.ca, you won’t have to break the bank on a travel/mini crib. It isn’t ideal, but it gets you off to a great start, and you won’t feel guilty getting rid of it when your child can roll over. What is your sleep solution? Leave a comment below! After only 2 months, the Wee Baby T has grown out of this bassinet. 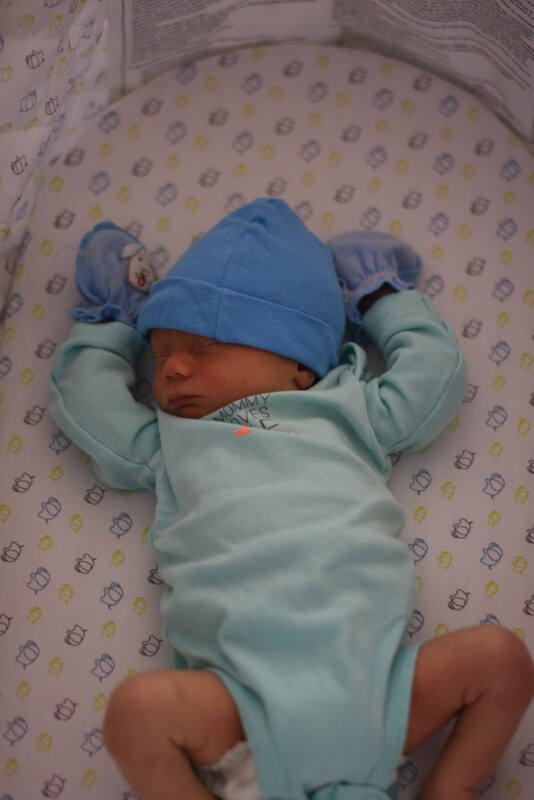 We ended up buying a compact crib, which *should* be big enough to cover him for about a year… Maybe hold off on the bassinet.